My name is Alejandra Sanchez-Castro. Originally a Bay Area native, I came down to LA to attend the University of California, Los Angeles. Currently, I am a first year studying Political Science and minoring in Labor and Workplace Studies with the aspiration of one day becoming an immigration lawyer. 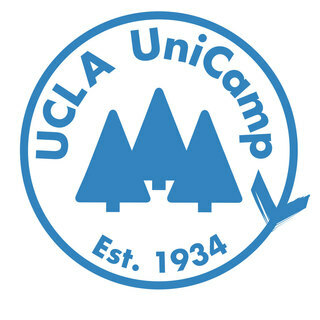 This year, I have proudly partnered with UCLA UniCamp -- UCLA's official student philanthropy -- to volunteer this summer as a camp counselor for The Village Session. The Village Session (TVS), is one of eight UniCamp initiatives -- each having its own week of camp dedicated in a unique area of social justice. My session's name comes from the Afrikan proverb: "It takes a village to raise a child." TVS strives to teach the underprivileged Black youth of Los Angeles of their African-American heritage, history, and culture. We give them the opportunity to celebrate and embrace their identities in a safe, encouraging space. Because it is expensive to send a child up to Camp River Glen for a week, UniCamp counselors (like myself) fundraise in order to subsidize or completely cover the cost of camp for families that want to participate but find it difficult to pay. Before UniCamp sessions start in the summer, I will have to have raised my goal of $450. For this reason, I (a very broke college student) am asking for generous donations (of any quantity) to help me reach my goal and provide a unique and empowering experience for the Black youth of Los Angeles. I am grateful for every donation I receive, and I will be sure to update Y'all on my experience this summer as a UniCamp counselor this summer! Go Alejandra!! So proud of you.